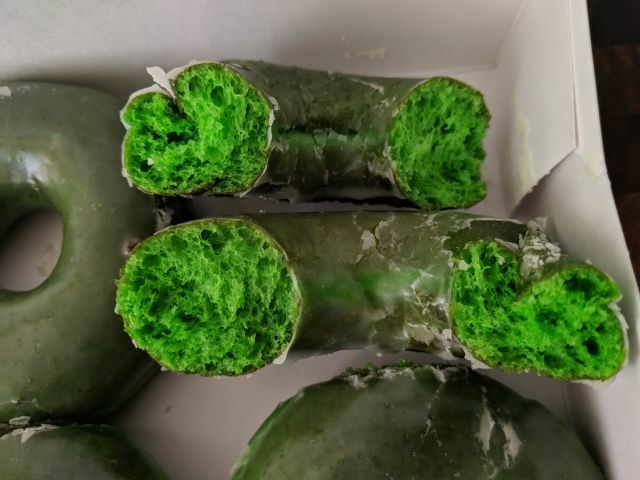 A Look at Krispy Kreme's Green Donuts: How Green are They? Krispy Kreme is serving Green Original Glazed Donuts this weekend for St. Patrick's Day and were kind enough to send me a dozen so I snapped a couple of photos to give an idea of what you get. 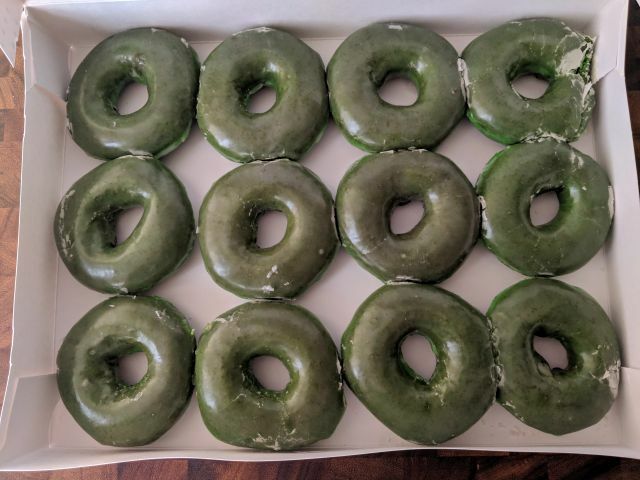 Like green bagels, the green coloring is just that and the donuts taste the same as regular Original Glazed Donuts, which is to say, they're quite good, especially when fresh. You can pop them in the microwave for 5 to 10 seconds to get a better texture on day two or three.